If you have medium or long transit in Cairo you need to explore the top highlights and sightseeing of Cairo in one Private day tour to Giza Pyramids,Sphinx, Egyptian Museum and khan Khalili Bazaar. this tour includes private transfers by air conditioned vehicle, expert tour guide, snacks bag and bottled water. As per requested arrival flight time Start your day tour with pick-up from Cairo airport. You will meet your expert tour guide who will be waiting outside the terminal at the street exit gate with a sign of your name. You will be then be transferred to the Giza Pyramids where you will spend around 3 hours visiting the most famous pyramids in Egypt, along with the biggest and oldest Sphinx in Egypt. You may also have a camel ride at the Pyramids (additional cost). 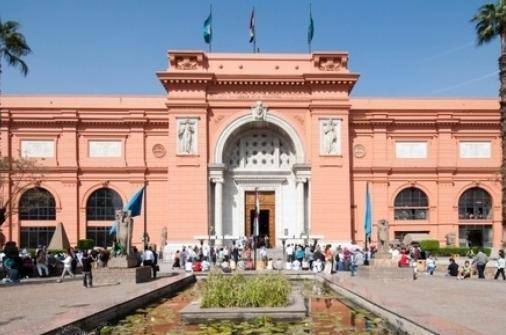 After the Pyramids you will be transferred to down town Cairo to visit one of the biggest museum in Egypt, the Egyptian Museum. You will be accompanied by your expert tour guide who will focus to explain the highlights of the museum, including the treasures of Tutankhamen and animal mummies. There is an optional lunch break to stop and have lunch, or stop in a preferred restaurant (lunch not included). In the afternoon you will end your day tour by a visit to one of the oldest markets in Egypt; Khan Khalili Bazaar. There you will be able to see the oldest part of Islamic Cairo and shops all around the street where you can buy Egyptian cheap souvenirs. Around 16:00 you will be transferred you back to Cairo airport.